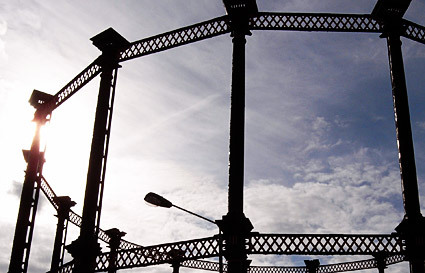 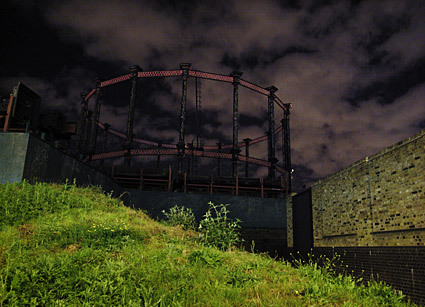 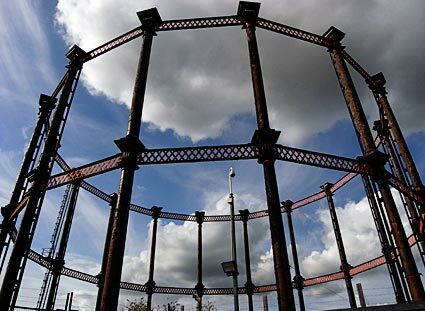 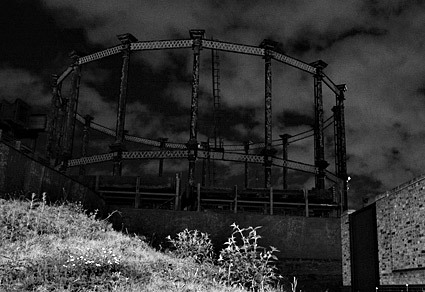 Once one four famous gasometers serving the area around Kings Cross, this one - officially known as "Single Gasholder No 8" is the lone survivor and faces an uncertain future. 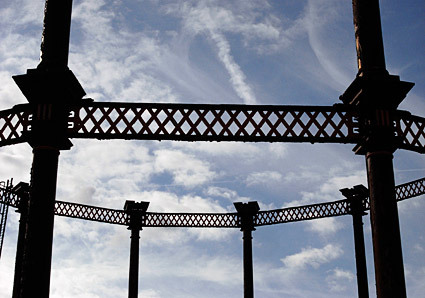 Originally erected by the Imperial Gas Light and Coke Company in 1880 and decommissioned in the 1980s, there is an unexpected twist to the story: far from being scrapped, all the Grade II-listed gasometers have been carefully stored with planes to restore them once work on the St Pancras Eurostar rail link (and the regeneration of the area) is completed. 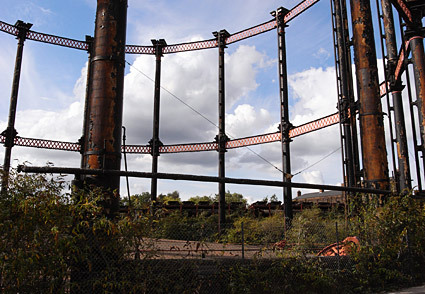 Just visible in the distance are piles of the metal parts from the other gasometers. 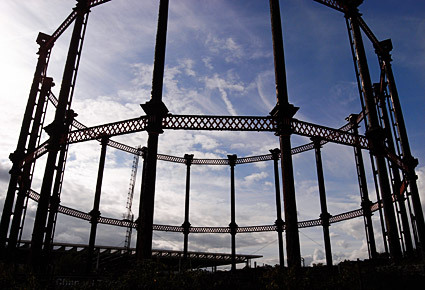 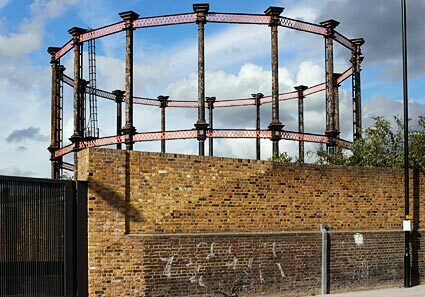 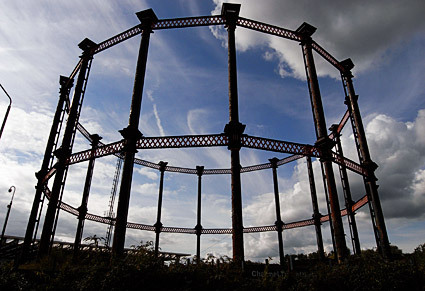 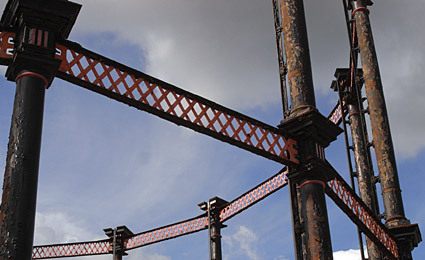 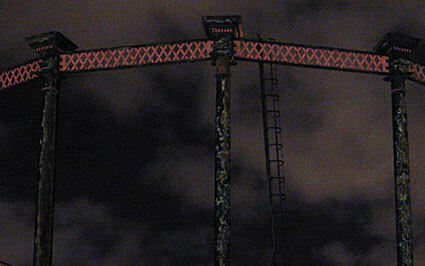 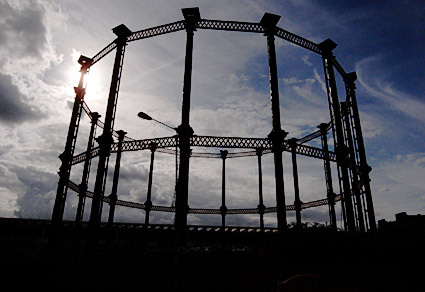 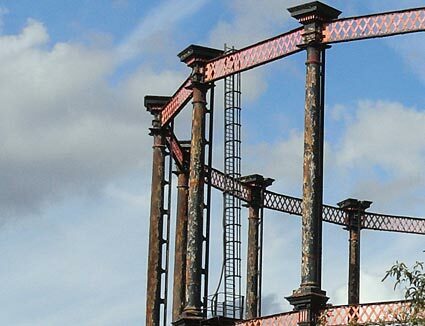 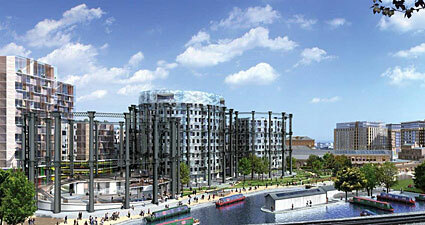 One of those proposed plans to reuse the old gasometers.